One of the largest projects being undertaken at the CERN research center near Geneva - the ATLAS Experiment - is about to be upgraded. 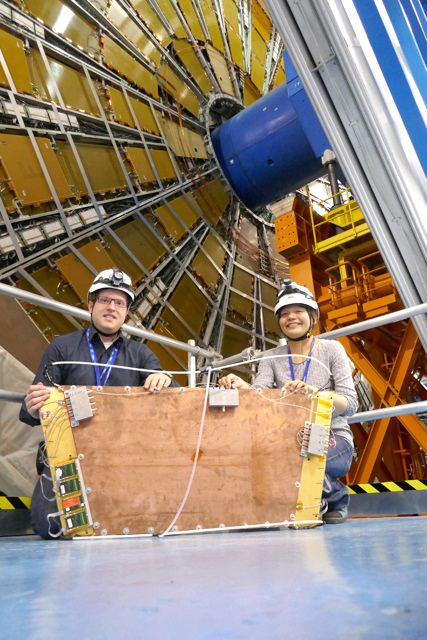 ATLAS played a crucial role in the discovery of the Higgs boson in 2012. With a length of 46 meters and a diameter of 25 meters the ATLAS detector is thus the largest device of its kind being used at a particle accelerator. It is planned to upgrade the ATLAS detector from late 2018 onwards. 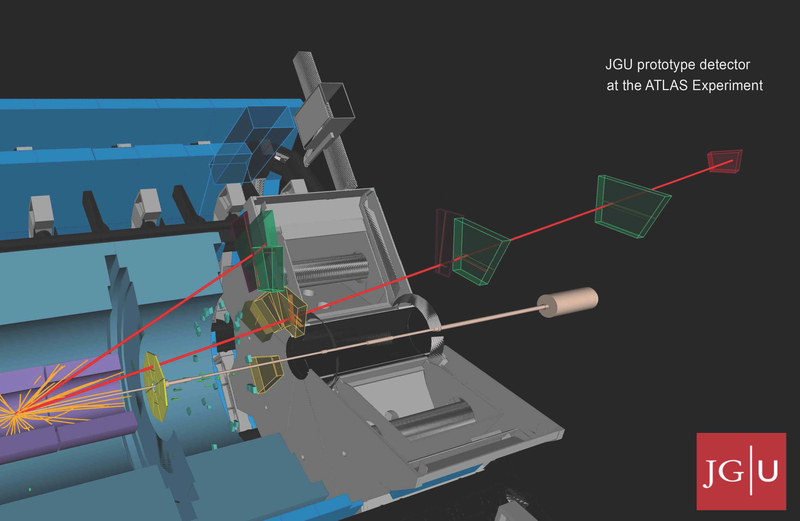 Researchers at Johannes Gutenberg University Mainz (JGU) and CERN have developed an initial prototype for this endeavor, which has now been installed at the ATLAS detector. Here it is recording particle collisions from the Large Hadron Collider (LHC). "Our prototype represents a blueprint for the future particle detectors to be produced throughout the world for installation in ATLAS in 2019/2020," explained Professor Matthias Schott, who was appointed to a Lichtenberg professorship in Experimental Particle Physics at JGU in 2013. He and his work group have been collaborating with their colleagues at CERN for several years on the development of this groundbreaking prototype. The ATLAS Experiment is one of the four major particle detectors at the LHC. It was specifically designed to study the fundamental components of matter and to learn more about the Higgs boson. The muon spectrometer of the ATLAS detector plays a central role here as it detects and measures muons that can be created by the decay of the Higgs boson. The muon detectors are mounted in three layers on both external sides of the cylinder-like ATLAS detector. The innermost layer, known as the Small Wheel, is to be replaced by innovative microstructure gas detectors as part of the upgrade project. These so-called Micromegas detectors employ a technology that was developed recently and has not yet been used in such large-scale projects. "The several layers of the New Small Wheels with their 10 meter in diameter will provide an active detector surface area of 2500 square meters and will thus be able to cover a wide range of the whole muon spectrum," added Schott. Professor Matthias Schott and his team first tested the prototype detector in the Mainz Microtron MAMI, a particle accelerator located on the JGU campus, before installing it at the muon spectrometer of the ATLAS experiment. The tests have been on-going for several weeks and to date everything seems to be going to plan. "We have reached a milestone and the results of our initial tests are really very promising," Schott concluded. The Mainz-based physicists are already confident that it will be possible to successfully complete the major upgrade project in 2018 based on this masterpiece of technology. Those working on the New Small Wheel (NSW) will be the universities in Freiburg, Munich, Würzburg, and Mainz, partner institutes in France, Greece, Italy, and Russia as well as researchers at CERN. In the coming years, Professor Matthias Schott and his team will be able to rely on major support from the detector laboratory of the Cluster of Excellence 'Precision Physics, Fundamental Interactions and Structure of Matter" (PRISMA) at Mainz University. Several million euros are to be invested in the project as a whole. The upgrade work is planned to be completed by 2021 so that ATLAS will then be able to record even more data than ever before from more frequent particle collisions, thus providing new insights into the fundamental building blocks of matter.